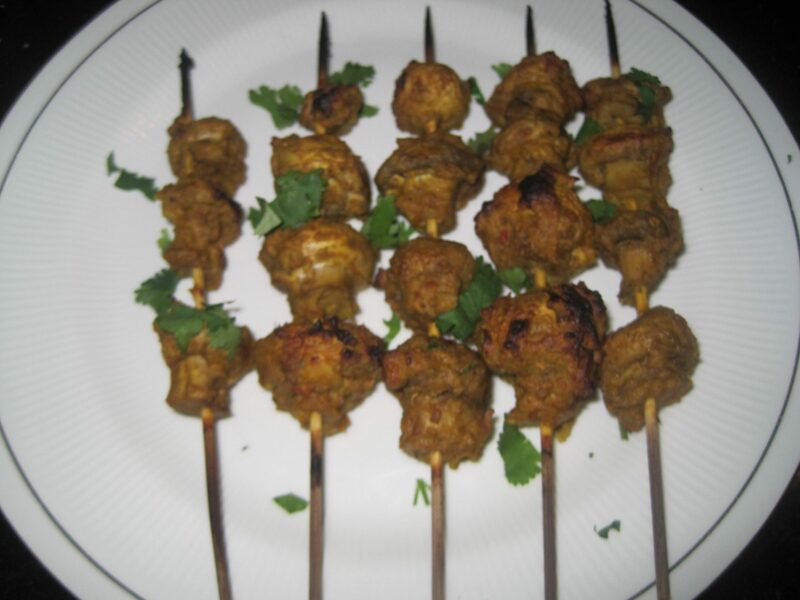 Mushroom Tikka is a healthy and protein rich tandoori recipe made from button mushrooms. Making mushroom tikka is quite easy and it can be replaced paneer tikka, chicken tikka and many more.Gram flour or besan and curd is the main marinating ingredient.Mushroom tikka is authentic tandoori recipe prepared with indian spices and tandoori masala. 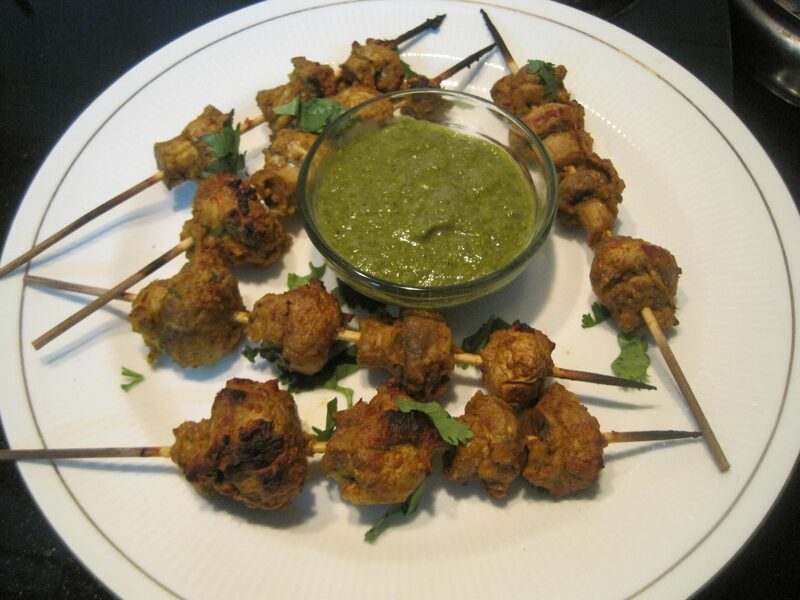 It is extremely delicious recipe and can be served as a starter with mint yogurt chutney and some salad in barbecue party or in kitty party. Traditionally mushroom tikka is made in tandoor or in oven, but you can make it on non stick tawa or pan too. Tandoori masala plays a important role to enhance the flavour,that’s why it’s a prime ingredient. Wash the mushrooms with water and wipe them with paper towel. 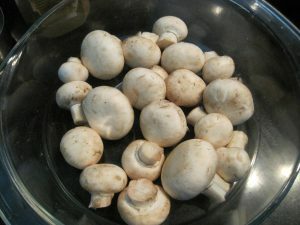 Cut the base stalks and transfer them in a mixing bowl. 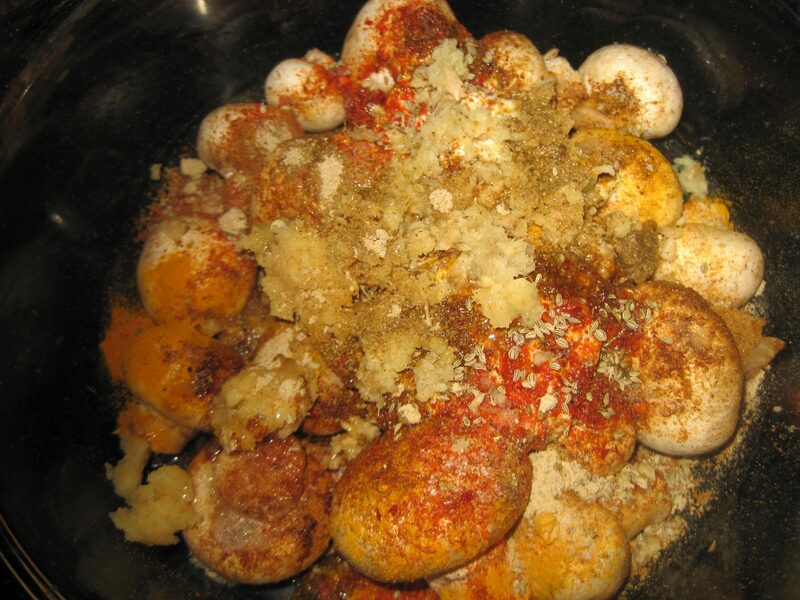 Add all the spices, curd, ginger garlic paste, carom seeds, salt and oil and mix them well. 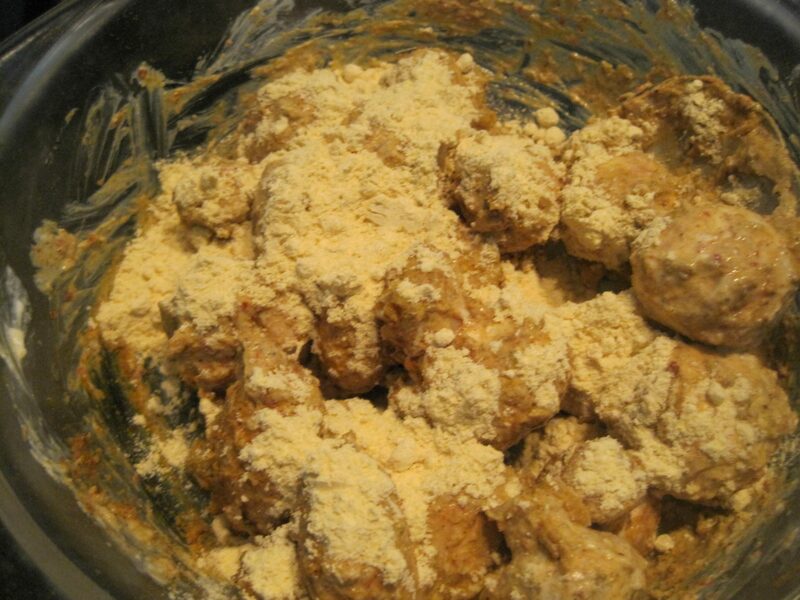 Keep in refrigerator for 20-25 minutes for marination. Preheat the oven at 180 degree celsius. Take out the marinated mushrooms from the refrigerator and mix gram flour(besan)nicely, it will soak all the water into the paste. Soaked the skewers in water for 5 minutes to avoid burnings. Take out the skewers and wipe them properly,insert the mushrooms in skewers. 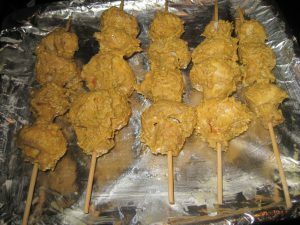 Place a foil sheet over baking tray and keep the skewers. Grill it for 10 minutes for 180 degree celsius, after 10 minutes remove from the oven and turn over the sides, grill again for 10-15 minutes. Mushroom tikka is ready to serve with mint coriander chutney.